These are dangerous times, especially if your name is Sreenivasan Jain. No, not because he’s been caught distorting facts in a manner that would make Ramachandra Guha want to name a road after him. Rather, it is his name that is a source of potential trouble. Cricket has made sure everyone hates the name Sreenivasan. The Meat Ban has ensured that the same goes for Jain. The ban on the sale of meat during the Paryushan Parva of the Jain community, which has now become more confusing than Indrani Mukherjee’s love life, has grabbed a lot of attention. An uncle, who is deeply disturbed by this, says the meat ban is against freedom of choice. His daughter’s marriage feast won’t be as grand now. He wonders what the boy, to whom he’s forcibly getting his daughter married to, will now think of them. The ban has also been linked to misogyny which is said to be the reason why India is a third world country. Some were of the view that India is a third world country because there aren’t enough opportunities for people considering how people with connections, like star kids, get ahead in life. Rumours were doing the rounds about studies being commissioned to establish links between misogyny and Sanjay Jha’s reasoning skills. Nevertheless, it seems the meat ban in question is a long standing one, and went on for much longer in certain parts of the country earlier. But the MSM was of the opinion that it was an issue of national importance until now, hence had decided against taking it up in the past. The meat ban had been endorsed by the Congress-NCP government in 2004 in Mumbai. However, they’ve gone all ND Tiwari on the ban and are now condemning it. BJP wants them to condemn their strength in Lok Sabha instead. A Congress spokesperson was of the view that the meat ban is a part of a larger scheme of things wherein Modi wants to transform India into a country of vegetarian terrorists who are going to nuke each other with theplas, and that Rahul Gandhi is ready for bigger responsibilities. Another spokesperson, Priyanka Chaturvedi, who seemed to have run out of amnesia pills, made it look like the Congress had nothing to do with the meat ban. Priyanka Chaturvedi is a special person. It takes a special person to be the most embarrassing person in a party which also has Manish Tewari. As expected, politicians in Maharastra jumped into the fray and are milking this issue as if it was one of Azam Khan’s long lost buffaloes, because the Marathas, a key constituency, are avid non-veg consumers. MNS workers tried to cook chicken outside a Jain place of worship in Dadar, thereby putting to rest rumours about them being good for nothing. But Dadar was so full of busycommuters that not many had the time and patience to take notice of them, following which they went back to the tried and tested formula of ransacking tollgates for fun. 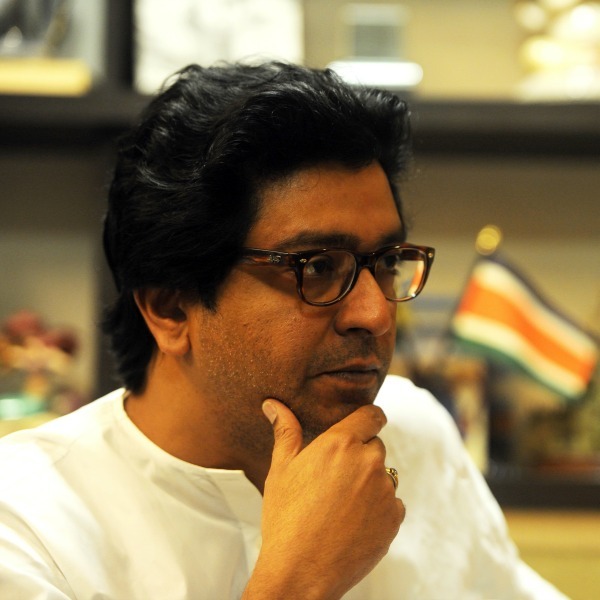 Shiv Sena leader Uddhav Thackeray, on the other hand, after a meeting with representatives of the Jain community, said that as far as the Shiv Sena was concerned, the controversy was over. He also wondered “who is behind it all?” after having warned the Jains to control their “fanaticism” a few days earlier, thereby contradicting himself in a way that would’ve made Rana Ayyub proud. For Rana Ayyub, however, it was another day in the office where her JD is to mint money out of fanning controversies. She posted hey query on Twitter, which was whether Hitler was vegetarian, to which the reply was Osama, sarcasm for ‘you tell me’. Also, yes, the Sena warned the Jains to control their fanaticism. Irony was travelling in a bus when he was dragged outside and beaten up, while the bus was set on fire.